It looks like something out of this world, but in reality it's West Midlands Police's latest weapon against crime. 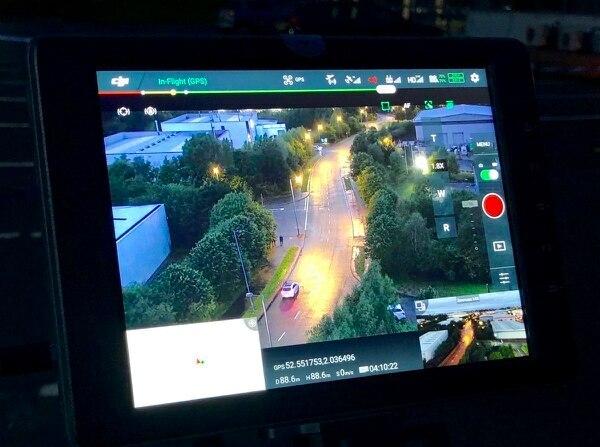 West Midlands Police's newest drone, the DJI Matrice 210, can zoom in on vehicles and record their registration numbers from high in the sky. The police will be utilising the latest "eye in the sky" technology to deter crime. The black quadcopter, paid for by money seized from criminals, is capable of flying in all weather conditions and has "super zoom" through the use of its cameras. 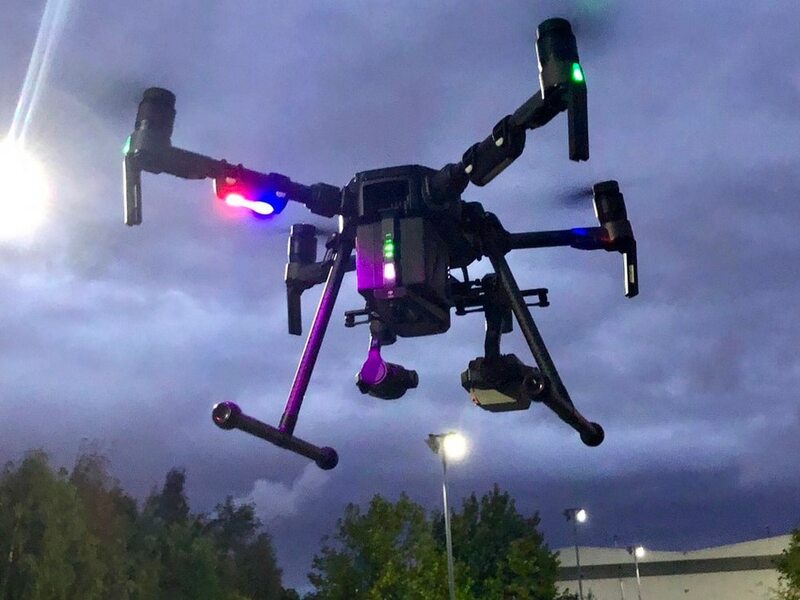 The force's drone unit tweeted: "Launching our new Matrice 210 which is able to zoom in on vehicles and record their registration number from a safe distance, watch out cruisers, @dronesWMP are watching you." The drone can fly at speeds of 51.4mph on its optimum setting. The force said the new piece of technology would assist them in capturing other criminals, including burglars and thieves, and also deter anti-social behaviour. They added: "The drones/UAV's operated by WMP have all been obtained via the Proceeds of Crime Act Asset Recovery Funding. "No money has been taken from the public purse for these aircraft, equipment or officers training. The Matrice and its camera equipment come as a package." A total of £28,000 was taken out of the POCA fund to pay for three drones and training for seven pilots earlier this year. The money is raised from assets seized from criminals convicted at court and cannot be spent on police officers or staff. All of the devices are capable of recording the images they capture and the footage is secure. 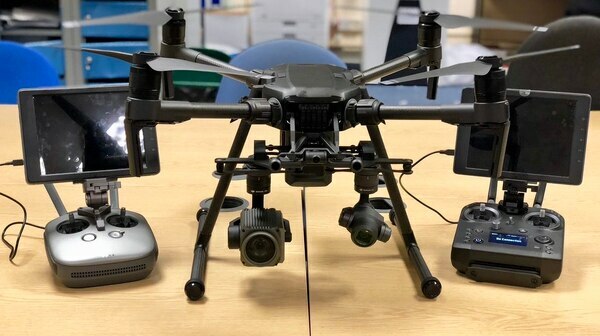 West Midlands Police and Crime Commissioner, David Jamieson, complimented the force's use of drone technology in July this year, saying: “They can go where officers can’t and, as such, will help ensure our officers stay one step ahead of those who choose to flout the law. “What’s more, it’s great that these high-tech devices have been paid for using ill-gotten gains seized from criminals."